Draft: 2002, Philadelphia Phillies, 1st rd. A four-time All-Star and 2008 World Series Champion, Cole was acquired by the Cubs July 27, 2018 along with a cash consideration for RHP Eddie Butler, RHP Rollie Lacy and a player to be named later ... he has pitched in all or parts of 13 major league seasons with the Phillies (2006-15), Rangers (2015-18) and Cubs ... Among active left-handed pitchers, he ranks third in wins (156), second in games started (394), second in strikeouts (2,415) and fourth in ERA (3.40) ... Has made at least 20 starts in 13-straight seasons, including 2018 … joins Sabathia (16), Colon (15), Verlander (13), Shields (13) and Greinke (13) as active pitchers with 13-or-more seasons of 20+ starts ... Has gone 7-6 with a 3.41 ERA (38 ER/100.1 IP) in 17-career postseason outings, all but one as a starter, including one complete game ... his 16 starts are fifth among active pitchers ... was named the NLCS and World Series MVP in 2008 as he went 4-0 with a 1.80 ERA (7 ER/35. IP) in five postseason starts that season ... Was named a N.L. All-Star in 2007, 2011 and 2012, and earned A.L. All-Star honors in 2016 ... he has not allowed a run in 3.0 innings pitched in the All-Star Game (pitched 1.0 inning in each game except for 2011) ... Has made four Opening Day starts, including 2018 ... also started Opening Day in 2013, 2015 and 2016 ... Tossed a complete game no-hitter July 25, 2015 against the Cubs at Wrigley Field ... struck out 13 batters and walked two in the Phillies' 5-0 win ... was also part of a combined no-hitter September 1, 2014 at Turner Field against Atlanta ... pitched 6.0 innings, departing after 108 pitches ... Joins Chick Fraser as the only pitchers to toss a no-hitter against the Cubs and then later play for the Cubs … Fraser no-hit the Cubs in September of 1903 and went on to play with the team from 1907-09 ... thanks to Ed Hartig for his research assistance ... Selected as the winner of the Rangers 2017 Jim Sundberg Community Achievement Award ... along with his wife Heidi, he launched The Hamels Foundation in 2008, dedicated to enriching the lives of children through the power of education by giving them the tools they need to achieve their goals ... Was the Phillies Community Service Award winner in 2009 and the club's nominee for the Roberto Clemente Award ... he and his wife Heidi were named the 2012 Humanitarians of the Year by the Philadelphia Sports Writers Association ... Originally selected by Philadelphia with the 17th overall pick (first round) in the 2002 draft ... Graduated from Rancho Bernardo High School in San Diego, California. Cole was acquired by the Cubs from Texas, July 27, and made an immediate impact with the club, posting a 2.36 ERA (20 ER/76.1 IP) with a complete game and a 4-3 record in 12 starts ... between the Rangers and Cubs, went 9-12 with a 3.78 ERA (80 ER/190.2 IP) in 32 starts ... Allowed two or fewer earned runs in 11 of his 12 starts with Chicago ... taking away his seven earned runs allowed in 6.0 innings, September 19 in Arizona, he pitched to a 1.66 ERA (13 ER/70.1 IP) in his 11 other outings ... Had nine quality starts for Chicago ... walked two or fewer in 10 of 12 outings ... Became the first Cub since at least 1908 to go at least 5.0 innings and allow one or zero runs in each of his first five starts with the club ... in fact, he became the first lefty in the live-ball era to accomplish the feat in his first five starts for any team ... Made his Cubs debut, August 1 at Pittsburgh, allowing one unearned run in 5.0 innings as he earned the win … struck out nine batters, the fourth-most ever in a Cubs debut when allowing zero earned runs since earned runs became official in 1912 (Elias) ... Made his Cubs Wrigley Field debut, August 12 vs. Washington, allowing one run on one hit and one walk in 7.0 innings in the Cubs dramatic 4-3 come-from-behind win (David Bote walk-off grand slam) ... retired the final 18 batters he faced, the longest stretch by a Cub in 2018 ... Became the first pitcher to toss at least 7.0 innings, allow one or fewer runs and strike out at least nine batters in their first start with the Cubs at Wrigley Field since Glendon Rusch, May 22, 2004 vs. St. Louis (7.2 IP, 6 H, 1 R, 9 SO) ... Earned a complete game victory, August 23 vs. Cincinnati, allowing one run on eight hits and two walks in the 7-1 win ... only run allowed came in the first inning ... was the Cubs' lone complete game of the season ... Named N.L. Pitcher of the Month for August, going 4-0 with a 0.69 ERA (3 ER/39.0 IP) in six starts ... Posted a 3.41 ERA (35 ER/92.1 IP) with 92 strikeouts in his first 15 starts with Texas through June 19 … had a 10.23 ERA (25 ER/22.0 IP) with 22 strikeouts in his final five starts with Texas ... Went 2-0 with a 1.89 ERA (4 ER/19.0 IP) in a three-start span, May 5-22, which included starts vs. Boston, at Houston and vs. New York (A.L.) … all quality starts ... Fanned a season-high 11 batters in just 5.0 innings, April 3 at Oakland ... Made a relief appearance in the N.L. Wild Card game vs. Colorado, allowing two hits in 2.0-scoreless innings ... was his first-career postseason relief appearance. Despite missing nearly 2 months on the disabled list, still ranked among team leaders in wins (T2nd, 11), starts (3rd, 24), innings (3rd, 148.0), and strikeouts (3rd, 105)…while he didn't qualify, posted 2nd-highest ERA (4.20) of his career (4.32 in 2009)…was on the DL, 4/30-6/25, with a right oblique strain suffered while warming up prior to a scheduled start on 5/2 at HOU…was the longest DL stint of his career, as he had never missed more than 29 days (3/26-4/23/14)…was 1-0 with a 1.04 ERA (1 ER/8.2 IP) in a pair of rehab starts with Double-A Frisco: 6/16 vs. San Antonio and 6/21 vs. Midland. SUMMARY // After a strong April (2-0, 3.03 in 5 GS), missed 2 months on the disabled list and returned with a short start on 6/26 at CLE (4.1 IP, 8 H, 7 R-ER) to spike season ERA to 4.38…was 2-0, 0.82 (2 ER/22.0 IP) in next 3 starts from 7/1- 15 to drop season mark to 3.05…went 1-1, 7.27 (14 ER/17.1 IP) in final 3 starts in July to raise ERA nearly a full run to 4.01… won 1st 4 starts in August with a 1.86 ERA (6 ER/29.0 IP), as season ERA dropped to 3.42…beginning 8/26, saw his ERA rise following 6 of his final 8 starts, as he was 2-5, 6.12 (29 ER/42.2 IP) in that span to finish at 4.20, his 2nd-highest figure after the DL stint. Selected Rangers 2016 Pitcher of the Year by the DFW chapter of the BBWAA in his 1st full season with the club, posting his 8th 200-inning season and 5th 200-strikeout campaign in anchoring the Texas rotation…landed 4th career All-Star selection (4th in A.L. player voting for starting pitchers), 1st since 2012…went 15-5 with a 3.32 ERA (74 ER/200.2 IP) in 32 games/starts…ranked among A.L. leaders in win pct. (6th, .750), strikeouts (7th, 200), quality starts (T6th, 22), ERA (8th, 3.32), and SO/9 (8th, 8.97), groundball pct. (9th, 49.6), wins (T9th, 15), road ERA (2nd, 2.40) and night ERA (5th, 2.97)… also had most walks (77, 3rd in the A.L.) and highest WHIP (1.306) of his career. Was 13-8, 3.65 ERA (86 ER/212.1 IP) over 32 games/ starts with Philadelphia and Texas…averaged 9.11 strikeouts per 9 innings, second-highest figure of his career (9.86 SO/9 in 2006)…posted career highs for walks (62), hit by pitches (10), wild pitches (9) and balks (4, tied for first in ML)…opponents hit .238 (190-800), nearly identical figures for right-handers (.238, 149-627) and lefties (.237, 41-173)…RHB hit 20 of 22 HR allowed…had 21 quality starts (13 w/ PHI, 8 w/ TEX), T16th in MLB…opposition hit .228 (43-189) with runners in scoring position and .210 (53-252) with two outs in an inning…missed a pair of starts, with PHI on Jul 19 (mild right hamstring strain) and with TEX on Aug. 13 at Minnesota (left groin soreness). Set career highs in wins (17) and SO (216)...Finished T-2nd in the NL in SHO (2), 3rd in SO, 4th inSO/BB ratio (4.15), T-4th in CG (2), 5th in wins & winning% (.739), 6th in innings (215.1) & SO/9.0 IP (9.03), 7th inWHIP (1.12), 8th in ERA (3.05) and 10th in AVG against(.237) & fewest hits/9.0 IP (7.94)...Had his second consecutive 200-SO season...Selected to his 3rd NL All-Star team; pitched a perfect7th inning...Threw at least 6.0 innings in 28 of his 31 starts (90.3%)and at least 7.0 innings in 20 of 31 (64.5%)...Went 10-3 (.769), 3.34 ERA (39 ER, 105.0 IP) in 15 startsfollowing a Phillies loss...Recorded 10 SO in a game three times: 4/15 vs NYM,8/18 at MIL and 9/19 at NYM...Was suspended for 5 games by Major League Baseball(5/7-12) for hitting Bryce Harper with a pitch, 5/6 at WSH...Allowed 3 ER or less in each of his first 9 starts of theseason, 4/9-5/23 (7-1, 2.17 ERA)...Recorded his 10th win of the season on 6/19 vs COL,giving him double-digit wins in each of the last 6seasons; the 3 most recent Phillies pitchers to win 10 ormore games in 6 straight seasons were Hall of FamersSteve Carlton (13 straight seasons, 1972-84), RobinRoberts (12, 1949-60) and Grover Cleveland Alexander(7, 1911-17)...Earned his 10th win in his 14th game of the season,tying the 2nd-fastest any Phillies pitcher has reached 10wins in the live-ball era (since 1920); Hall of Famer SteveCarlton did it in 13 games in 1980, while three othersgot there in 14 games: Robin Roberts (1953), DickRuthven (1978) and Paul Byrd (1999)...Went 5-0 in 6 starts in May, matching his most wins everin a calendar month (previous: 5-1 in May 2007)...Had a career-best 8-game winning streak, 4/15-5/28 (9 GS), which was tied for the 4th-longest streak in MLBin 2012...Passed Hall of Famer Jim Bunning (1,197) for 6th placeon the Phillies' all-time SO list, 6/30 at MIA (JustinRuggiano)...Hit his 1st career HR, 7/21 vs SF (Matt Cain); bothpitchers homered in the game, marking the first timeever that 2 pitchers who were selected as All-Stars thatseason homered against each other in the same game...Pitched consecutive SHO, 8/7 vs ATL & 8/13 at MIA, tojoin Johan Santana (5/26 & 6/1) as the only pitchers tothrow back-to-back SHO in the majors in 2012...Had a team-best 23.0-inning scoreless streak, 8/2-18...Was scratched from his scheduled start on 8/29 with agastrointestinal illness...Went 3-1, 1.86 ERA (8 ER, 38.2 IP) in 5 starts in August...Allowed 3 ER or less in each of his final 12 starts of theseason, 7/27-9/30 (6-2, 2.76 ERA)...Finished the season with a 6-game winning streak, 8/7-9/30; the Phillies went 9-1 in those starts...Offensively among NL pitchers, finished 2nd in hits (15)and T-2nd in total bases (20). Selected to his 2nd NL All-Star team. ... Finished 5th in NL Cy Young Award balloting with 17 totalpoints (Two fourth-place votes and 13 fifth-place votes). ... Posted career bests in ERA (2.79) and CG (3). ... Ranked second in the NL in opponent's avg (.214), fifth in BB/9.0 IP (1.83) & SO/BB ratio (4.41), T-5th in CG (3) & quality starts (23), sixth in ERA (2.79), T-ninth in wins (14)and 10th in SO (194). ... Posted double-digit wins for the fifth straight season, the longest streak by a Phillies pitcher since Hall of Famer Steve Carlton did it in 13 straight seasons (1972-84). ... Went 11-4, 2.32 ERA (34 ER, 132.0 IP) in 19 starts prior to the All-Star break; his 11 wins before the All-Star break were a career high (previous: 10 wins in 2008). ... Allowed 1 ER or less in 13 of his 31 starts (42%), 2 ER orless in 21 of 31 (68%) and 3 ER or less in 26 of 31 (84%). ... Held opposing hitters to a .209 AVG (78-373) at home, fifth-best in the NL. ... Became the second Phillies pitcher since 1900 to strike out at least six batters and issue 1 or fewer walks in five straight starts, 4/27-5/18 (other: Roy Halladay, 7/23-8/14/10). ... Hit his first career triple, 5/3 vs WSH (Livan Hernandez). ... Earned his 1st career win against COL on 5/18, giving him at least one win against all 15 other NL teams in his career; surpassed 1,000 career innings in same game. ... Tied his career high with a 5-game win streak, 5/18-6/14 (6 GS, 5-0, 1.64 ERA, 8 ER, 44.0 IP). ... Recorded his 1,000th career SO, 6/19 at SEA (M. Olivo). ... Left the game in the middle of the 4th inning with a right hand contusion, 6/30 vs BOS, after being hit by aline drive off the bat of Adrian Gonzalez ; he did not miss a start. ... Threw his 18th career double-digit SO game, 7/22 vs SD (10 SO), which moved him past Chris Short for fourth place on the Phillies' all-time list. ... Was one out away from pitching a SHO, 8/6 at SF (Sandoval solo HR with 2 outs in bottom of the ninth). ... Was on the 15-day DL with left shoulder inflammation, 8/13-28. ... Made the first relief appearance of his professional career, 9/28 at ATL (3.0 IP, 4 H, 2 R, 2 ER, SO). ... Pitched 6.0 scoreless innings and earned the win in Game 3 of the NLDS, 10/4 at STL. ... Had two surgeries following the season on 10/14: had loose bodies removed from his left elbow (Dr. Michael Ciccotti) and had hernia surgery (Dr. Ernest Rosato). Set career highs in starts (33), innings (227.1) andstrikeouts (196)...Finished 2nd in the NL in innings, 3rd in opponentsbatting avg (.227), T-3rd in SHO (2), 4th in SO/BB ratio(3.70), T-4th in quality starts (23), 6th in SO, T-6th in CG(3) and 9th in BB/9.0 IP (2.10)...Was the first Phillies LHP to reach 200.0 IP and 30starts in the same season since Eric Milton in 2004...Became the first Phillie since Curt Schilling in 1998 topitch at least 7.0 innings in each of his first 6 starts ofthe season; Schilling went at least 7.0 innings in hisfirst 11 starts of 1998...Had his first 2 career shutouts: 5/15 vs ATL and 6/5 vsCIN, becoming the 1st Phillie to have 2 home shutoutsbefore the All-Star break since 1993 (Curt Schilling)...Got a pinch single, 4/10 at NYM, to become the firstPhillies pitcher to get a pinch-hit since July 24, 1995(Omar Olivares)...Had a career-high 17 hits, the most for a Philliespitcher since 1991 (Tommy Greene-19)...Had a career-best 19.0-inning scoreless streak, 5/9-25...Pitched at least 7.0 innings in a career-best 9 straightstarts, 6/5-7/20 (68.2 IP); went 4-2, 2.36 ERA, .195 avg inthose starts...Allowed 1 ER or none in 10 of his 33 starts...Hit Adrian Gonzlaez, 8/17 at SD, his first HB since6/18/07 at CLE (Casey Blake), a span of 38 starts and253.1 IP...Did not throw a wild pitch the entire season...Won World Series and NLCS MVP honors after going4-0, 1.80 ERA in 5 playoff starts...Set Phillies records for most wins, innings (35.0),strikeouts (30) and starts in one postseason...Started and won Game 1 of the NLDS, NLCS and WorldSeries...Started Game 1 of the NLDS vs MIL and earned his 1stcareer playoff win, becoming the 2nd Phillie in clubhistory to pitch 8.0 shutout innings in a postseasongame (Curt Schilling); retired the first 14 batters hefaced and the final 8. Selected to the NL All-Star team in his first full season in the major leagues... Led the team in wins(15), ERA (3.39) and SO (177)... Became the first Phillies pitcher to get at least 15 wins in less than 30starts since 1999 (Curt Schilling, 15 wins in 24 starts)... 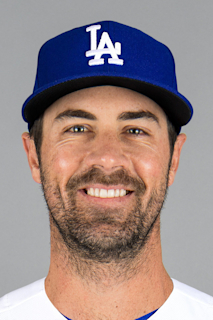 Finished 3rd in the NL in winning % (.750), T-4th in CG (2), T-7th in SO,8th in ERA, T-8th in wins and had the 10th-lowest opponents' batting avg (.237)... Pitched at least 6.0 innings in 13 of his first14 starts... Pitched his 1st career CG and had a career-high 15 SO, 4/21 at CIN (9.0 IP, 5 H, R, ER, 2 BB, 15 SO)... Was placed onthe 15-day DL on 8/22 (mild left elbow strain)... Was activated on 9/18... Went 3-1, 2.27 ERA (11 ER, 43.2 IP) and a .194opponents' average in his final 7 road starts... Pitched 8.0 scoreless innings with 13 SO in his final regular season start of theseason, 9/28 vs WSH... Overall, had 3 double-digit SO games... Pitched at least 6.0 innings in 22 of 28 starts (79%); 7.0 inningsin 16 starts (57%); 8.0 innings in 6 starts (29%). Finished 3rd among NL rookies in strikeouts (145), 4th in winning % (.529), 6th in starts (23) andinnings (132.1) and T-7th in wins (9) and quality starts (11)...Among NL rookies with a minimumof 130.0 IP, ranked 1st in SO/9.0 IP (9.86) and 3rd in fewest hits/9.0 IP (7.96)...Began the season with Clearwater (A)...Made4 starts and averaged 12.8 SO/9.0 IP (29 SO/20.1 IP) before being promoted to Scranton/Wilkes-Barre (AAA)...Struck out 14batters in 7.0 shutout innings (3 H) in his triple-A debut, 4/27 at Norfolk, en route to being named both the InternationalLeague and Phillies Minor League Pitcher of the Week...Pitched his first professional 9.0-inning shutout in his 2nd triple-Astart, 5/2 at Richmond (9.0 IP, 2 H, 1 BB, 12 SO) and had an RBI single...Won IL Pitcher of the Week honors again in his 2ndweek in triple-A...Had his contract purchased on 5/12 and made his ML debut that night at CIN (ND, 5.0 IP, 1 H, 5 BB, 7 SO),taking a no-hitter into the 5th inning...Pitched 5.0 scoreless innings in his 2nd start before allowing a run in the 6th tobegin his ML career with 10.0 shutout innings...Retired the first 19 left-handed hitters he faced...Missed his 3rd scheduledstart, 5/24 at NYM, and was placed on the 15-day DL (retroactive to 5/19) with a left shoulder strain...Activated on 6/6...Struck out 6 straight batters in the 3rd and 4th innings, 7/24 vs ATL, one shy of the Phillies' known club record of 7, set byHall of Famer Steve Carlton on 5/9/81 vs SD...Had a career-best 12 SO twice: 7/24 vs ATL and 8/3 at STL...The 12 SO fellone shy of tying the Phillies rookie record of 13, set by Jack Sanford on 6/7/57 vs CHI...Became just the 3rd rookie pitcherin the last 10 years to strike out 12 or more in a game twice within a 2-week period, joining Mark Prior in 2002 and KerryWood in 1998, both for CHI...Pitched 6.2 no-hit innings, 8/16 at HOU, before allowing an RBI double to Adam Everett in the7th inning...Went 2-5, 5.98 ERA through his first 11 ML starts of the season, pitching 6.0 innings or more in 2 of them...went7-3, 2.70 ERA in his final 12 starts, pitching 6.0 innings or more in 10 of them. Began his season in extended spring training, rehabbing from surgery on his lefthand...Made his season debut with Clearwater (A), 6/21 vs Sarasota, and pitched 5.0 hitless innings (5.0 IP,2 BB, 8 SO)...Promoted to Reading (AA), 7/4...Got a no-decision in his 1st double-A start, 7/6 vs Akron (6.0 IP, 5 H, 3 R, 2 ER,3 BB, 6 SO) allowing the 1st HR of his pro career, snapping his 25-start, 133.0-inning streak of not allowing a homer...Wasshut down after his start, 7/19 at Portland (W, 6.0 IP, 2 H, 2 R), with back spasms, for remainder of the season. Non-roster invitee to major league camp...Pitched 2.0 scoreless innings, 3/5 at NYY, strikingout Derek Jeter, Alex Rodriguez and Tony Clark in his 2nd inning...Was sidelined for the first month of the seasonwith left elbow tendinitis...Activated on 5/17 and assigned to Clearwater (A)...Made just 4 starts before being shutdown for the remainder of the season with elbow soreness...Averaged 13.5 SO/9.0 IP...Held opponents to a .192avg...Earned his lone win in his final start of the season, 6/4 at Lakeland, with a season-high 5.0 IP...Pitched inFlorida Instructional League...Rated 3rd-best prospect in Phillies minor league system by Baseball America. Recipient of Paul Owens Award as the best pitcher in Phillies minorleague system...Began the season in extended spring program...Promoted to Lakewood (A) on 5/10...Made pro debut,5/13 at Savannah (5.0 IP, 1 H, 2 BB, 8 SO)...Named Phillies Minor League Pitcher of the Week 3 times: 5/19-25 (1-0, 1 GS, 6.1IP,1 H, 3 BB, 12 SO); 6/2-8 (1-0, 2 GS,1 SHO, 12.0 IP,8 H, 22 SO) and 7/14-20 (2-0, 12.0 IP,4 H, 0 ER, 18 SO)...Posted double digitsin SO in 5 of his 13 starts...Pitched shutout baseball in 9 of his 13 starts...Averaged 13.9 SO/9.0 IP (115 SO/74.2 IP) forLakewood...Promoted to Clearwater,7/28...Made his Clearwater debut, 7/31 at Palm Beach (5.2 IP, 6 H, 2 ER, 3 BB, 10 SO)...Averaged 10.9 SO/9.0 IP (32 SO/26.1 IP) for Clearwater...Voted as having Best Breaking Pitch in South Atlantic League, ratedthe 3rd-best prospect in league and best prospect in the Phillies minor league system, all by Baseball America...Pitched inFIL. Pitched in FIL...Rated the 5th-best prospect in the Phillies minor league system by Baseball America. July 29, 2018 Chicago Cubs activated LHP Cole Hamels. July 27, 2018 Texas Rangers traded LHP Cole Hamels and cash to Chicago Cubs for Eddie Butler, RHP Rollie Lacy and Player To Be Named Later. June 26, 2017 Texas Rangers activated LHP Cole Hamels from the 10-day disabled list. June 16, 2017 Texas Rangers sent LHP Cole Hamels on a rehab assignment to Frisco RoughRiders. May 3, 2017 Texas Rangers placed LHP Cole Hamels on the 10-day disabled list retroactive to April 30, 2017. Right oblique strain. August 1, 2015 Texas Rangers activated LHP Cole Hamels. April 23, 2014 Philadelphia Phillies activated LHP Cole Hamels from the 15-day disabled list. April 6, 2014 Philadelphia Phillies sent LHP Cole Hamels on a rehab assignment to Clearwater Threshers. August 29, 2011 Philadelphia Phillies activated LHP Cole Hamels from the 15-day disabled list. August 23, 2011 Philadelphia Phillies placed LHP Cole Hamels on the 15-day disabled list retroactive to August 13, 2011. Left shoulder inflammation.